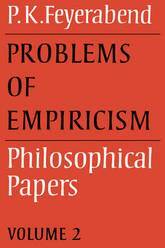 Over the past thirty years Paul Feyerabend has developed an extremely distinctive and influentical approach to problems in the philosophy of science. The most important and seminal of his published essays are collected here in two volumes, with new introductions to provide an overview and historical perspective on the discussions of each part. Volume 1 presents papers on the interpretation of scientific theories, together with papers applying the views developed to particular problems in philosophy and physics. The essays in volume 2 examine the origin and history of an abstract rationalism, as well as its consequences for the philosophy of science and methods of scientific research. Professor Feyerabend argues with great force and imagination for a comprehensive and opportunistic pluralism. In doing so he draws on extensive knowledge of scientific history and practice, and he is alert always to the wider philosophical, practical and political implications of conflicting views. These two volumes fully display the variety of his ideas, and confirm the originality and significance of his work. 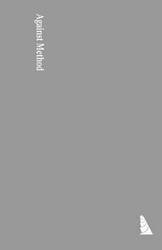 Paul Feyerabend is one of the greatest philosophers of science of the 20th century and his book Against Method is an international bestseller. In this new book he masterfully weaves together the main elements of his mature philosophy into a gripping tale: the story of the rise of rationalism in Ancient Greece that eventually led to the entrenchment of a mythical scientific worldview . In this wide-ranging and accessible book Feyerabend challenges some modern myths about science, including the myth that science is successful . 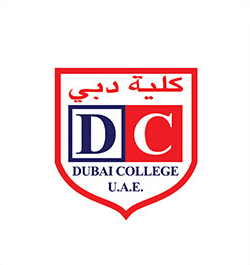 He argues that some very basic assumptions about science are simply false and that substantial parts of scientific ideology were created on the basis of superficial generalizations that led to absurd misconceptions about the nature of human life. Far from solving the pressing problems of our age, such as war and poverty, scientific theorizing glorifies ephemeral generalities, at the cost of confronting the real particulars that make life meaningful. Objectivity and generality are based on abstraction, and as such, they come at a high price. For abstraction drives a wedge between our thoughts and our experience, resulting in the degeneration of both. Theoreticians, as opposed to practitioners, tend to impose a tyranny on the concepts they use, abstracting away from the subjective experience that makes life meaningful. Feyerabend concludes by arguing that practical experience is a better guide to reality than any theory, by itself, ever could be, and he stresses that there is no tyranny that cannot be resisted, even if it is exerted with the best possible intentions. 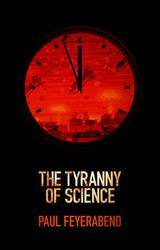 Provocative and iconoclastic, The Tyranny of Science is one of Feyerabend s last books and one of his best. It will be widely read by everyone interested in the role that science has played, and continues to play, in the shaping of the modern world. 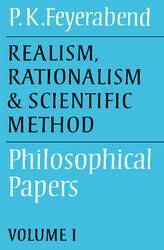 No study in the philosophy of science created such controversy in the seventies as Paul Feyerabend's Against Method. 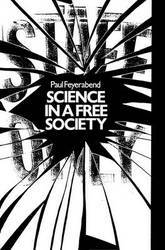 In this work, Feyerabend reviews that controversy, and extends his critique beyond the problem of scientific rules and methods, to the social function and direction of science today. In the first part of the book, he launches a sustained and irreverent attack on the prestige of science in the West. The lofty authority of the expert claimed by scientists is, he argues, incompatible with any genuine democracy, and often merely serves to conceal entrenched prejudices and divided opinions with the scientific community itself. Feyerabend insists that these can and should be subjected to the arbitration of the lay population, whose closes interests they constantly affect--as struggles over atomic energy programs so powerfully attest. Calling for far greater diversity in the content of education to facilitate democratic decisions over such issues, Feyerabend recounts the origin and development of his own ideas--successively engaged by Brecht, Ehrenhaft, Popper, Mill and Lakatos--in a spirited intellectual self-portrait. Science in a Free Society is a striking intervention into one of the most topical debates in contemporary culture and politics. Die Aufsiitze des vorliegenden Bandes wurden zwischen 1950 und 1980 ge- schrieben. 2/15- ist der friiheste Aufsatz. 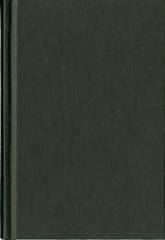 Ich schrieb ihn 1950/52, teils in Wien, nach Diskussionen mit Elizabeth Anscombe, die mir die damals noch ungedruck- ten Wittgensteinschen Schriften zeigte, teils in London, als Stipendiat des British Council. 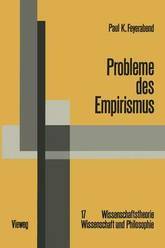 Wittgenstein macht es klar, daB eine Praxis wie die Praxis des Denkensl Handelns/Redens/Planemachens in einer bestimmten Kultur sich durch abstrakte Begriffe und Beschreibungen weder darstellen, noch lenken laBt, und zwar vor allem darum, weil jede Regel, die man zu soleh auBerer Umformung einsetzen mochte, nur dann sinnvoll wird, wenn man sie eng mit der Praxis verbindet und dadurch einer Erfassung durch einfache und klar aufgebaute Begriffe und MaB- stabe entzieht: ist ein MaBstab wirksam, dann ist sein Inhalt viel komplizierter als seine Formulierung vermuten laBt. LaBt sich umgekehrt sein Inhalt mit Hilfe ein- facher Schlagworte erfassen, dann wird eine interessante Praxis von ihm kaum auf fruchtbare Weise gefordert werden, und das selbst dann nicht, wenn sich die ver- wendeten Schlagworte mit anderen Schlagworten zu einem schonen philosophi- schen System zusammenfiigen (man vergleiche etwa Brechts Praxis der Theater- arbeit und seine, Theorie' der Verfremdung). 1m Falle der Wissenschaften bedeu- tet das, daB methodologische Oberlegungen nur im Zusammenhang mit konkreten Problemen sinnvoll sind: die Methodologie ist ein komplizierter Teil der wissen- schaftlichen Praxis, nicht ein tiber ihr stehender Richter. Mehr verschroben ausge- driickt: fruchtbare Methodologie ist forschungsimmanent, nicht forschungstrans- zendent. The Socratic, or dialog, form is central to the history of philosophy and has been the disciplinea s canonical genre ever since. 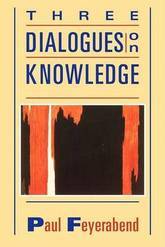 Paul Feyerabenda s Three Dialogues on Knowledge resurrects the form to provide an astonishingly flexible and invigorating analysis of epistemological, ethical and metaphysical problems. He uses literary strategies -- of irony, voice and distance -- to make profoundly philosophical points about the epistemic, existential and political aspects of common sense and scientific knowledge. He writes about ancient and modern relativism; the authority of science; the ignorance of scientists; the nature of being; and true and false enlightenment. 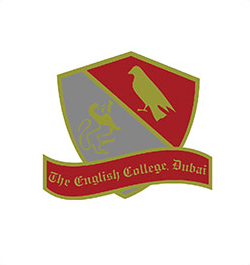 Throughout Three Dialogues on Knowledge is provocative, controversial and inspiring. It is, unlike most current philosophical writing, written for readers with a keen sense of what matters and why. Philosopher, physicist, and anarchist Paul Feyerabend was one of the most unconventional scholars of his time. His book Against Method has become a modern classic. Yet it is not well known that Feyerabend spent many years working on a philosophy of nature that was intended to comprise three volumes covering the period from the earliest traces of stone age cave paintings to the atomic physics of the 20th century - a project that, as he conveyed in a letter to Imre Lakatos, almost drove him nuts: Damn the, Naturphilosophie.  The book's manuscript was long believed to have been lost. 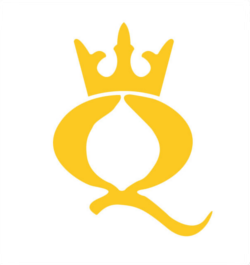 Recently, however, a typescript constituting the first volume of the project was unexpectedly discovered at the University of Konstanz. In this volume Feyerabend explores the significance of myths for the early period of natural philosophy, as well as the transition from Homer's aggregate universe to Parmenides' uniform ontology. He focuses on the rise of rationalism in Greek antiquity, which he considers a disastrous development, and the associated separation of man from nature. 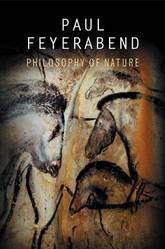 Thus Feyerabend explores the prehistory of science in his familiar polemical and extraordinarily learned manner. The volume contains numerous pictures and drawings by Feyerabend himself. It also contains hitherto unpublished biographical material that will help to round up our overall image of one of the most influential radical philosophers of the twentieth century. Finished only weeks before his death in 1994, this autobiography traces the trajectory that led Feyerabend from an isolated, lower-middle-class childhood in Vienna to the height of international academic success as one of this century's most influential intellectuals. He writes of his experience in the German army on the Russian front, where three bullets left him crippled, impotent, and in lifelong pain. He recalls his promising talent as an operatic tenor (a lifelong passion), his encounters with everyone from Martin Buber to Bertolt Brecht, innumerable love affairs, four marriages, and a career so rich he once held tenured positions at four universities at the same time. Although not written as an intellectual autobiography, Killing Time sketches the people, ideas, and conflicts of 60 years. Feyerabend writes frankly of complicated relationships with his mentor Karl Popper and his friend and frequent opponent Imre Lakatos, and his reactions to a growing reputation as the worst enemy of science. Contemporary philosophy of science has paid close attention to the understanding of scientific practice, in contrast to the previous focus on scientific method. Paul Feyerabend's acclaimed work, which sparked controversy and continues to fuel fierce debate, shows the deficiencies of many widespread ideas about the nature of knowledge. He argues that the only feasible explanation of any scientific success is a historical account, and that anarchism must now replace rationalism in the theory of knowledge. This updated edition of this classic text contains a new foreword by Ian Hacking, a leading contemporary philosopher of science, who reflects on Feyerabend's life and personality as well as the continuing relevance of his work. Philosopher, physicist, and anarchist Paul Feyerabend was one of the most unconventional scholars of his time. His book Against Method has become a modern classic. Yet it is not well known that Feyerabend spent many years working on a philosophy of nature that was intended to comprise three volumes covering the period from the earliest traces of stone age cave paintings to the atomic physics of the 20th century D a project that, as he conveyed in a letter to Imre Lakatos, almost drove him nuts: Damn the ,Naturphilosophie. 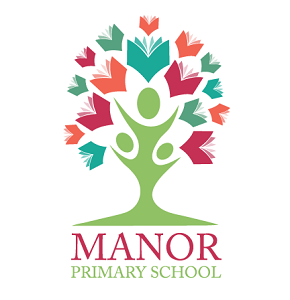 The book s manuscript was long believed to have been lost. Recently, however, a typescript constituting the first volume of the project was unexpectedly discovered at the University of Konstanz. In this volume Feyerabend explores the significance of myths for the early period of natural philosophy, as well as the transition from Homer s aggregate universe to Parmenides uniform ontology. He focuses on the rise of rationalism in Greek antiquity, which he considers a disastrous development, and the associated separation of man from nature. 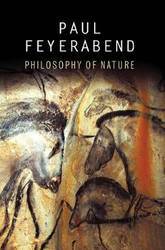 Thus Feyerabend explores the prehistory of science in his familiar polemical and extraordinarily learned manner. The volume contains numerous pictures and drawings by Feyerabend himself. It also contains hitherto unpublished biographical material that will help to round up our overall image of one of the most influential radical philosophers of the twentieth century. From Homeric gods to galaxies, from love affairs to perspective in painting, Paul Feyerabend revelled in the physical and cultural abundance that surrounds us. He found it equally striking that human senses and human intelligence are able to take in only a fraction of these riches. From this fraction, scientists, artists, all of us construct encompassing abstractions and stereotypes. This basic human trait is at the heart of Conquest of Abundance , the book on which Feyerabend was at work when he died in 1994. Prepared from drafts of the manuscript left at his death, working notes, and lectures and articles Feyerabend wrote while the larger work was in progress, Conquest of Abundance offers up exploration and startling insights with the charm, lucidity, and sense of mischief that are his hallmarks. Feyerabend is fascinated by how we attempt to explain and predict the mysteries of the natural world, and he describes ways in which we abstract experience, explain anomalies, and reduce wonder to formulas and equations. 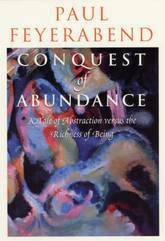 Through his exploration of the positive and negative consequences of these efforts, Feyerabend reveals the conquest of abundance as an integral part of the history and character of Western civilization. 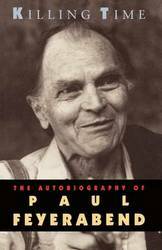 Paul Feyerabend (1924-1994) was educated in Europe and held numerous teaching posts throughout his career, including at the University of California, Berkeley, from 1959 to 1990. 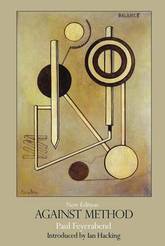 His Against Method - translated into 17 languages - is a classic of modern philosophy of science. The University of Chicago Press published his autobiography, Killing Time , in 1995. 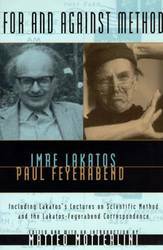 The work that helped to determine Paul Feyerabend's fame and notoriety, Against Method, stemmed from Imre Lakatos's challenge: In 1970 Imre cornered me at a party. Paul , he said, you have such strange ideas. Why don't you write them down? I shall write a reply, we publish the whole thing and I promise you - we shall have a lot of fun. Although Lakatos died before he could write his reply, this text reconstructs his original counter-arguments from lectures and correspondence previously unpublished in English, allowing us to enjoy the fun two of this century's most eminent philosophers had, matching their wits and ideas on the subject of the scientific method. The text opens with an imaginary dialogue between Lakatos and Feyerabend, which Matteo Motterlini has constructed, based on their published works, to synthesize their positions and arguments. 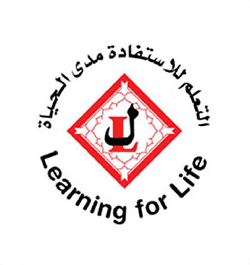 Part one presents the transcripts of the last lectures on method that Lakatos delivered. Part two, Feyerabend's response, consists of a previously published essay on anarchism, which began the attack on Lakatos's position that Feyerabend later continued in Against Method. The third and longest section consists of the correspondence Lakatos and Feyerabend exchanged on method and many other issues and ideas, as well as the events of their daily lives, between 1968 and Lakatos's death in 1974. This new book by Paul Feyerbrand offers a vigorous challenge to the scientific rationalism the underlies Western ideals of 'progress' and 'development', whose damaging sociological and ecological consequences are now widely recognized. For all their variety of theme and occasion, the essays in Farewell to Reason share a consistent philosophical purpose. Whether discussing Greek art and thought, vindicating the Church's battle with Galileo, exploring the development of quantum physics or exposing the dogmatism of Karl Popper, Feyerbend defends a relativist and historical notion of the sciences. The appeal to reason, he insists, is empty, and must be replaced by a notion of science that subordinates it to the needs of citizens and communities. 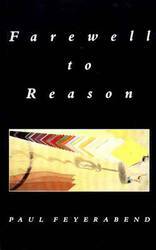 Provocative, polemical and rigorously argued, Farewell to Reason will infuriate Feyerbend's critics and delight his many admirers. Trained in physics and astronomy, Feyerabend was known as a philosopher of science. Feyerabend gave voice to a radically democratic epistemological anarchism : he argued that there is not one way to knowledge, but many principled paths. Here, Feyerabend traces the trajectory that led him from an isolated, lower-middle-class childhood in Vienna to international academic success. He writes of his experience in the German army on the Russian front and he recalls his promising talent as an operatic tenor, his encounters with people from Martin Buber to Bertolt Brecht, love affairs, four marriages, and a career. 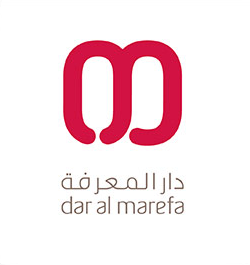 The text sketches the people, ideas and conflicts of 60 years. Feyerabend writes of his complicated relationships with Karl Popper and Imre Lakatos, and his reactions to a growing reputation as the worst enemy of science. From Homeric gods to galaxies, from love affairs to perspective in painting, Paul Feyerabend revelled in the physical and cultural abundance that surrounds us. He found it equally striking that human senses and human intelligence are able to take in only a fraction of these riches. From this fraction, scientists, artists, all of us construct encompassing abstractions and stereotypes. This basic human trait is at the heart of Conquest of Abundance , the book on which Feyerabend was at work when he died in 1994. Prepared from drafts of the manuscript left at his death, working notes, and lectures and articles Feyerabend wrote while the larger work was in progress, Conquest of Abundance offers up exploration and startling insights with the charm, lucidity, and sense of mischief that are his hallmarks. Feyerabend is fascinated by how we attempt to explain and predict the mysteries of the natural world, and he describes ways in which we abstract experience, explain anomalies, and reduce wonder to formulas and equations. Through his exploration of the positive and negative consequences of these efforts, Feyerabend reveals the conquest of abundance as an integral part of the history and character of Western civilization. 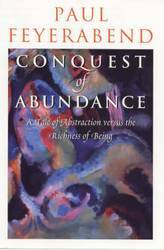 Conquest of Abundance should be a simple book, pleasant to read and easy to understand, he planned in his autobiography. It is a great philosopher's view of a basic yet complex human trait and how it affects our lives. Paul Feyerabend (1924-1994) was educated in Europe and held numerous teaching posts throughout his career, including at the University of California, Berkeley, from 1959 to 1990. His Against Method - translated into seventeen languages - is a classic of modern philosophy of science. The University of Chicago Press published his autobiography, Killing Time , in 1995.